A popular travel destination on the northern end of Vancouver Island is the boardwalk community of Telegraph Cove. 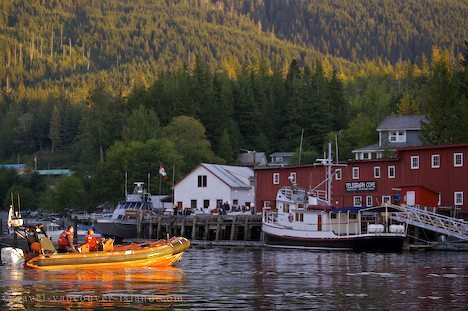 For an array of recreational activities in a remote and unique location, Telegraph Cove situated on Northern Vancouver Island is the ideal travel destination. Everything can be found there from historic to modern accommodations, camping, fishing, wildlife watching (whales, bears, and birds). Kayaking is another activity enjoyed there. Telegraph Cove, Northern Vancouver Island, British Columbia, Canada. Picture of the boardwalk community of Telegraph Cove, a travel destination on Northern Vancouver Island.